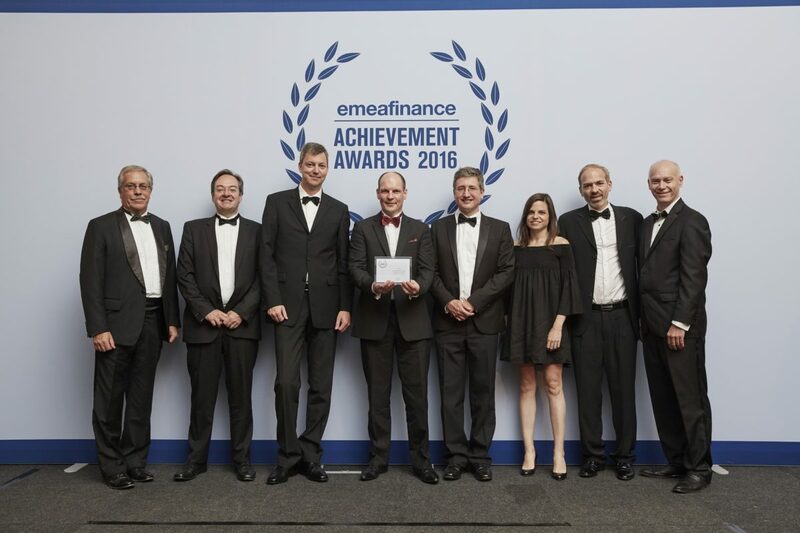 On the 8th June 2017, at the EMEA achievement awards in London, Directroute picked up the EMEA award “Best refinancing in Europe” for the €400m N17/N18 refinancing deal undertaken by Directroute in 2016. Lagan Construction Group are shareholders in the Directroute consortia. The award was received by PPP Co, Robert Newton of Infrared, Charles Greenfield of Societe Generale, Klaus Dieter Pertl of Strabag, Michael Troughton of Lagan Construction Group, David Foot of Infrared, Melissa Cohen of Marguerite and Bruno Erbel of Marguerite.